There’s no doubt about it – owning a home is an exciting prospect. After all, you’ve always dreamed of having a place that you could truly call your own. But buying a home can be stressful, especially when you’re buying one for the first time. Fortunately, knowing what to expect can make it a lot easier. According to a general rule of thumb, you can afford a house that costs two and a half times your annual salary. But determining how much you can afford to spend on a house is not quite so simple. Since most people finance their home purchases, buying a house usually means getting a mortgage. So, the amount you can afford to spend on a house is often tied to figuring out how large a mortgage you can afford. To figure this out, you’ll need to take into account your gross monthly income and any long-term debt. Once you have an idea of how much of a mortgage you can afford, you’ll want to shop around and compare the mortgage rates and terms that various lenders offer. When you find the right lender, find out how you can pre-qualify or get pre-approval for a loan. Pre-qualifying gives you the lender’s estimate of how much you can borrow. Prequalification does not guarantee that the lender will grant you a loan, but it can give you a rough idea of where you stand. If you’re really serious about buying, however, you’ll probably want to get pre-approved for a loan. Pre-approval is when the lender, after verifying your income and other searches, lets you know exactly how much you can borrow. This involves completing an application, revealing your financial information, and in some instances paying a fee. It’s important to note that the mortgage you qualify for or are approved for is not always what you can actually afford. Before signing any loan paperwork, take an honest look at your lifestyle, standard of living, and spending habits to make sure that your mortgage payment won’t be beyond your means. Keep in mind that if you enlist the services of an agent or broker, in most instances, it will involve a fee. •	Proximity to shopping, schools, and work. Once you find a house, you’ll want to make an offer. All terms and conditions of the offer, no matter how minute, should be put in writing to avoid future problems. Typically, your attorney or real estate agent will prepare an offer to purchase for you to sign. If the seller accepts the offer to purchase, he or she will sign the contract, which will then become a binding agreement between you and the seller. For this reason, it’s a good idea to have your attorney review any offer to purchase before you sign. Once the seller has accepted your offer, you, your real estate agent, or the mortgage lender will get busy completing procedures and documents necessary to finalize the purchase. These include finalizing the mortgage loan, appraising the house, surveying the property, and getting homeowners insurance. Typically, you would have made you offer contingent upon the satisfactory completion of a home inspection, so now’s the time to get this done as well. 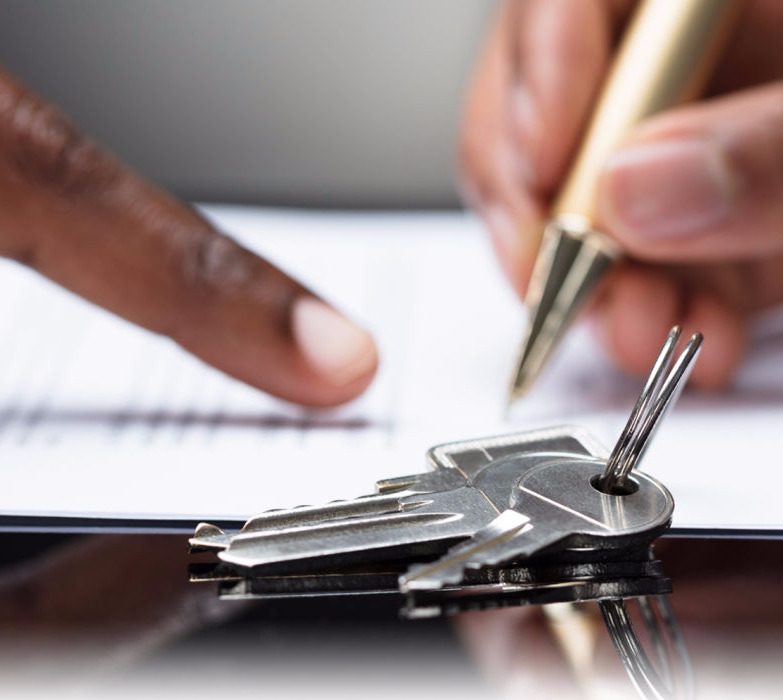 At the closing, you’ll be required to sign all necessary paperwork to make the transaction legal. In addition, you will need to provide proof that you have insured the property. You’ll also be required to pay certain costs and fees associated with obtaining the mortgage and closing the real estate transaction. The closing can be a tedious process – but when it’s over, the house is yours!